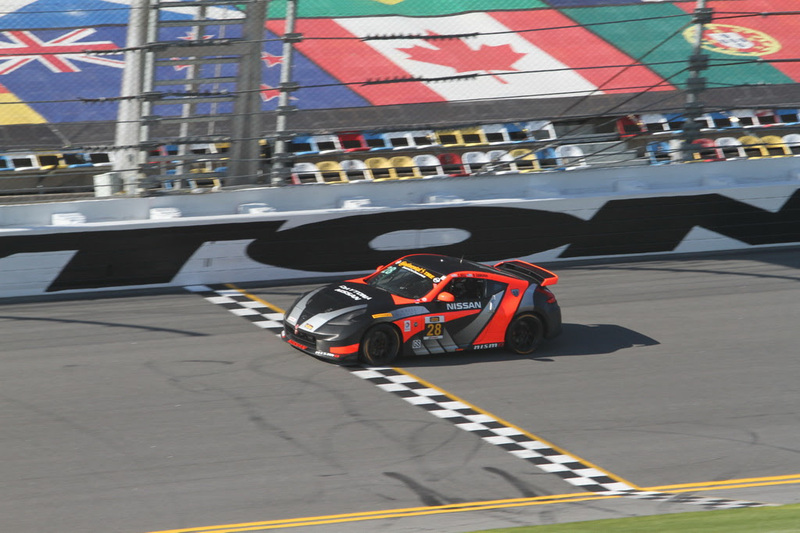 Mooresville, NC (30 January 2014) – After publicly launching the team with an event at Daytona Nissan, Tim Bell Racing made its competition debut at Daytona International Speedway last weekend as the team fought back from a mid-race setback to take the checkered flag with the No. 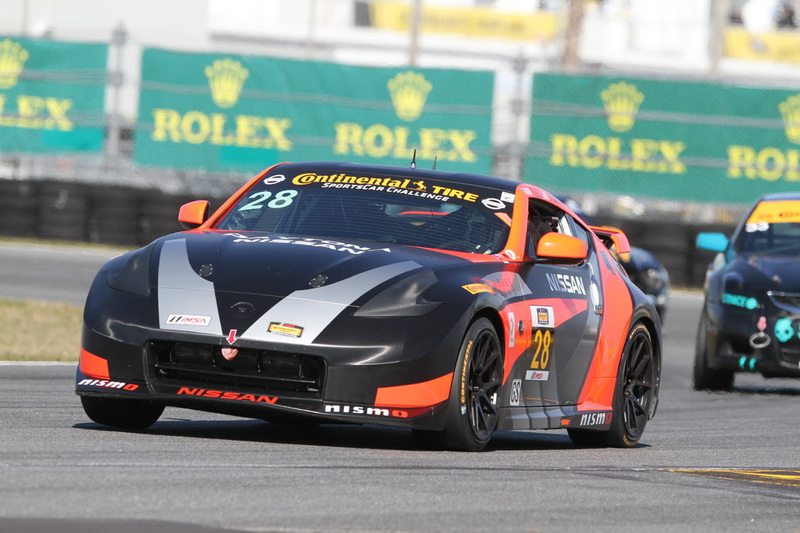 28 Tim Bell Racing Nissan 370Z. Bell teamed with co-driver Dane Cameron for the 2.5-hour BMW Performance 200 as the duo made their first start together in IMSA Continental Tire SportsCar Challenge competition. 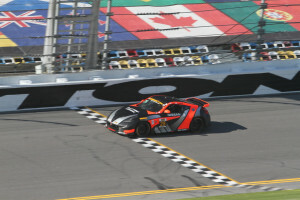 The Daytona event, which also marked the launch of the new IMSA TUDOR United SportsCar Championship, saw the team establish what it hopes to become a template for involvement in the future. Bell opened the race from behind the wheel and after getting spun out by a competitor at turn five in the opening stages of the race, recovered to move the car up to run in second position before the team had to deal with a fuel leak from a series mandated fuel fitting noticed during the driver change. 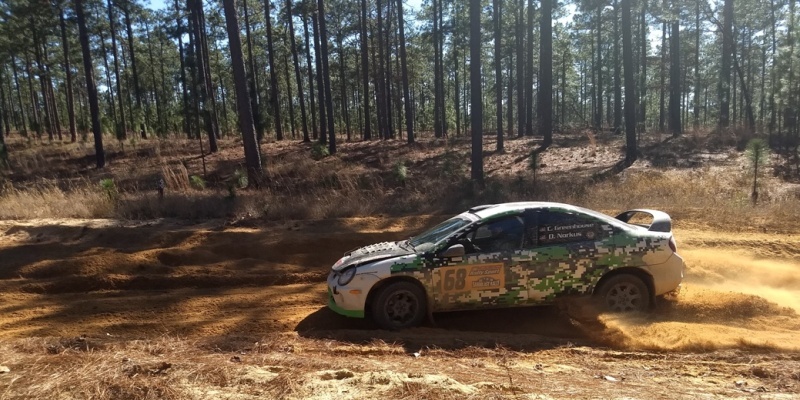 The team diagnosed a leaking fuel line and made repairs as well as a driver change. Cameron returned to the field several laps down but had strong pace as he brought the car home 19th in the GS Class running order.